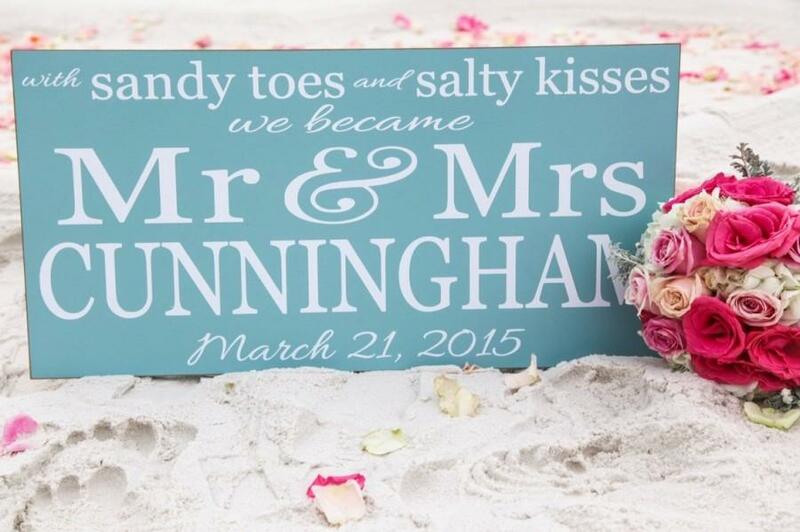 Sandy Toes Salty Kisses Wedding Sign A hand painted wood sign that would look beautiful in any room! SHOWN IN: aqua base and white font colors . . . clean, crisp finish.